Notice : AICTE is implementing various quality initiatives and in this endeavor has already signed Memorandum of Understanding(MoU) with organizations for the benefit of institutions, students, and faculty at large. Diploma Engineers (Freshers 2018) Electronics/Electrical hiring in General Electric. Notice : Campus interview for DIXON Technology Selaqui Dehradun. 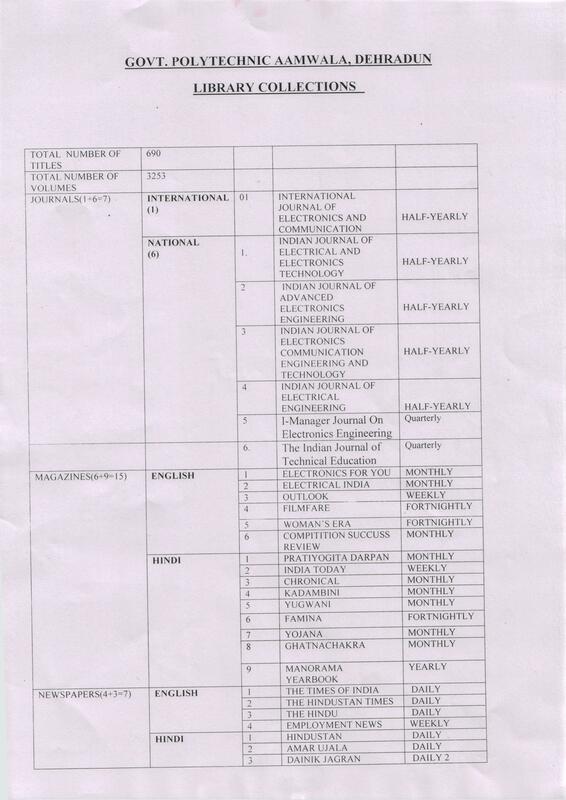 Notice : Campus selection for placement for 2OL7 & 2018 passed out batch of diploma electronics and electrical. Notice : Vacancy for Diploma Engg. Trainee 2017 -zOtB for Diploma Student(Female) passed out in 2O17 and 2018. Notice : Innovative project by creative student are initiated for Gandhian Young Technological Innovation (GYTI) award 2018. Notice : Workshop on Project Based Training on AVR Micorcontroller. 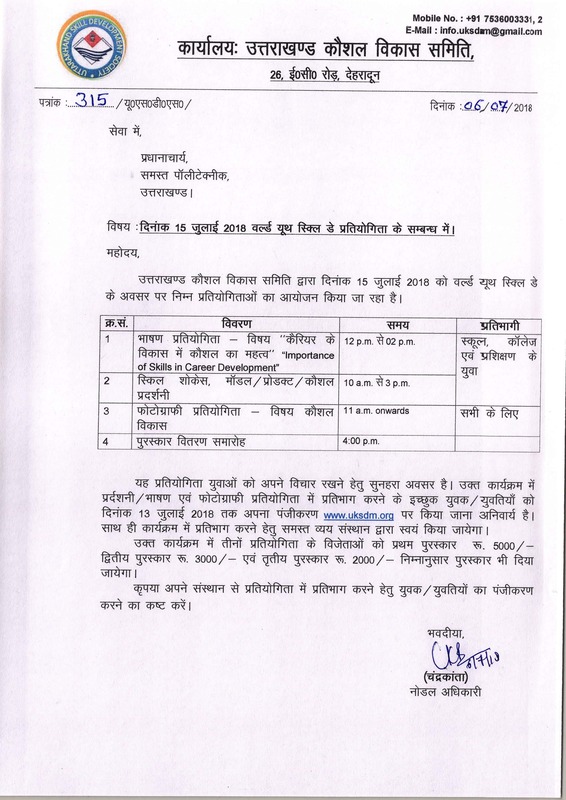 NOTICE : National Level Competition "Idea for Bhart Nirman"
Notice : For Transfer . Notice : Community College Admission 2017-18. Admission Form Community College 2017-18. Notice : Admission 2nd/3rd Year Student Community College Student. Notice : Admission 2nd/3rd Year Student . Notice : Academic Session Start from 27 July 2017 for IInd and Final Year Student . Placement Notice : Wipro Ltd is hiring Diploma Holder in CS,IT ECE,EEE 2016 & 2017 Batch on 28th july 2017 . Sample Registration for Pool Campur : Wipro Ltd on 28th july 2017 . Placement Notice : There is Campus interview being organized by JB Institute of Technology, Dehradun for diploma students on 7th July 2017. 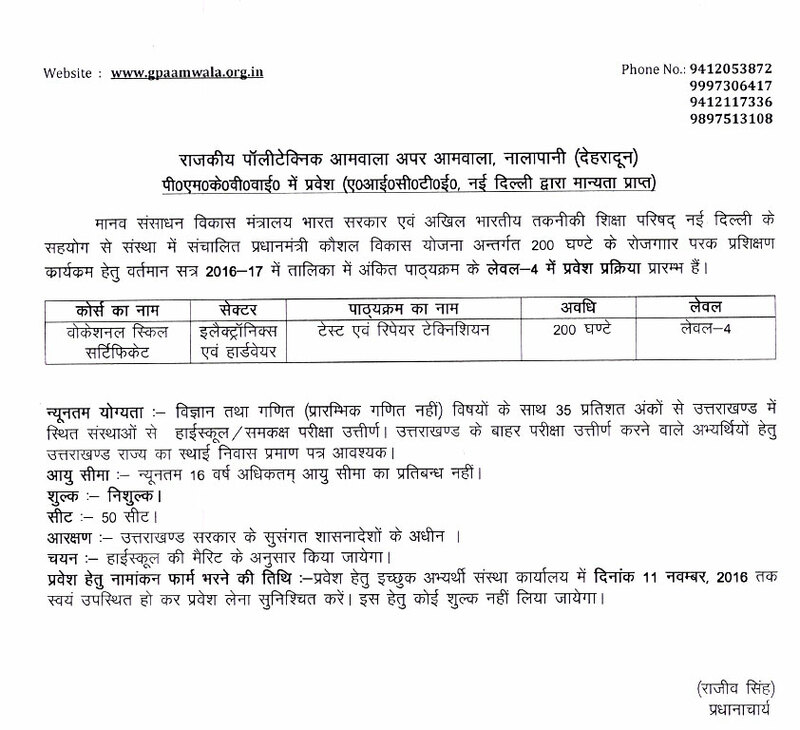 Gold Plus Glass Industry Ltd, Roorkee will conduct the interview. Click here to download Fees Strucure. Notice :Regarding uploading AICTE MoUs for student internships. Notice :Regarding shortlisted students list Napino Auto & Electronics Ltd.
Gabrial India Ltd. is Hiring Candidate Diploma in Elcetical & Electronics 2015 & 2016 passed out & 2017 Batch. Interview date : 24 Jan 2017. Placement-Interview : ACME Cleantech Solution hiring candidates Diploma in Electrical & Electronics 2017 Batch. Registration for Placement-Inetrview : Sapean Technology Pvt. Ltd.
A2S Infotech Pvt. Ltd. is hiring for the Diploma Engineering Trainee Candidates 2017 batch. 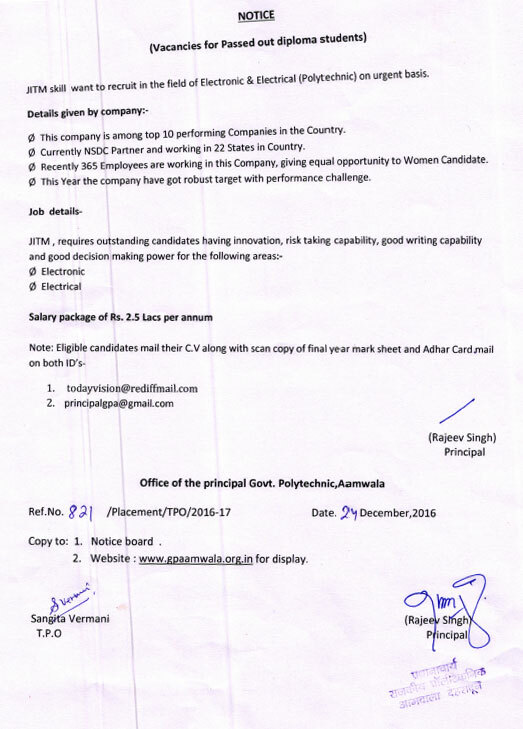 Selected stduent list for Napina Auto & Electronics Ltd. Registration for Placement-Interview : Karni IT Service Pvt. Ltd.
Awarness among student for Placement enhancement test.